Funding has been secured by Federal Member for Gippsland Darren Chester for electrical work and a kitchen upgrade at the Lindenow Hall. Pictured left to right in the kitchen are Lindenow Hall committee members John Whitbourne, Kaye Davidson, and Michael Murphy with Lindenow Lions Club representatives David Patterson and Ron Alexander and Mr Chester. Lindenow can further build its growing reputation as a popular destination for foodies after securing Federal Government money to upgrade the kitchen at the local hall. The Lindenow Hall has already hosted a number of events showcasing regional local produce – and the hall committee is keen to hold more. Federal Member for Gippsland Darren Chester has announced $10,500 towards the Lindenow Lions Club $40,000 hall upgrade. “The Lindenow Hall is used by a wide variety of groups including the Lions Club for community breakfasts and the school. There’s an adult day-care program which uses the kitchen weekly as well as other groups,” Mr Chester said. “More recently, some of well-known restaurants including The Long Paddock and Sardine have catered for popular events bringing people into the region and showcasing local produce. 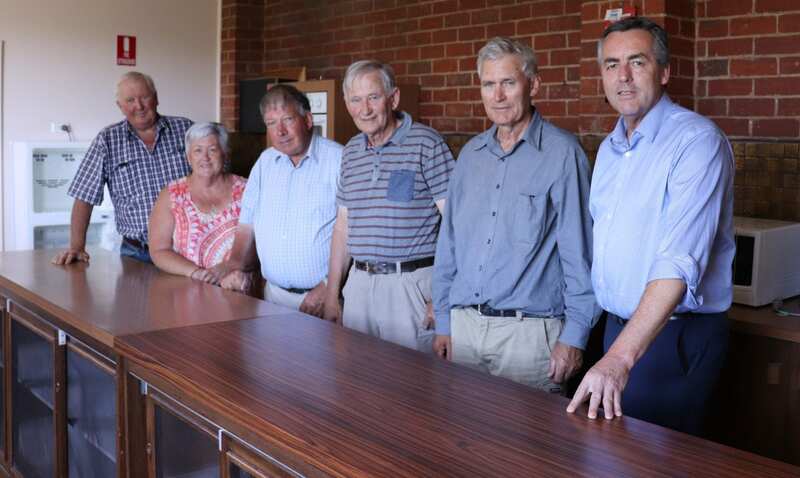 Lindenow Lions Club member John Whitbourne said the kitchen upgrade would also require significant electrical works to provide three phase power for a modern commercial stove. “The hall was built in 1908 and there have been a few upgrades over the years, but the kitchen isn’t really up to the standards required for professional caters,” Mr Whitbourne said. Mr Whitbourne said work would commence in April and hoped it would be completed by the end of this year.